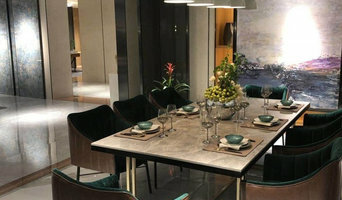 Based in the Melbourne, we specialise in sales for internationally available tile and stone products, used in both commercial & residential projects. Tilesofezra is the original provider of Moroccan tiles in Australia. We produce 100% handmade moroccan zellige mosaics throughout Australia and ship internationally/worldwide. We pride ourselves on our operation of the highest quality zellige coming out of Morocco, and promote the sustainability of our artisans and the craftsmanship of this magnificent texture. The most beautiful, exclusive and bespoke product, perfect for any feature wall, Tilesofezra bring these stunning feature tiles to you for your exclusive use. Design your custom tile today or choose a product from our instock range. Make your home something extremely special with Tilesofezra. Peltier Tiling is where Melbourne turns for quality tiling. Dean Peltier is a master craftsman and insists on the same passion for excellence and eye to detail from his staff. 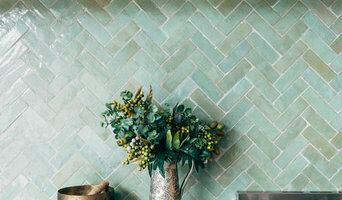 With Peltier, tiling is an art form. Whether it be tiling, waterproofing or screeding, if you want the best, look no further. Importers and Retailers of Natural Stone Slabs for kitchen benchtops, vanities, facades, fireplaces etc. 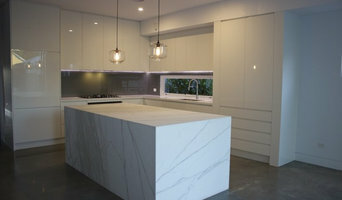 We specialise in Stocking white Marble and Granite slabs. The way your home looks reflects who you are and how you live. What story will you tell? Located in Richmond and Sandringham. 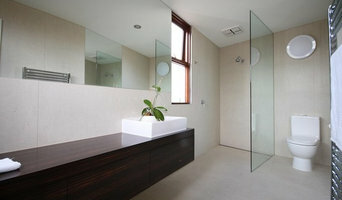 Mondo Stone & Glass Works Pty Ltd is a driven team for exceptional quality and service, at affordable prices. We deliver 12 months warranty on all installations, 10 year slab manufacturer warranty and we will install your complete stone and glass, with in 5 to 7 business days or less. This is what sets us apart from our competition. Backed by a knowledgeable team with over 25 years industry experience, Tiento Tiles opened in early 2014. Our showroom located at 449 High St Prahran was the obvious location for the business, having been the site of a tile showroom since the 1980’s. With so much history and heritage in the building, we set to work bringing it back to life and the end result has been a labour of love. We want to inspire you with our surface solutions, to bring your residential or commercial project to life with creative and unique designs that celebrate your individual style. From high tech porcelain to stone, encaustic or handmade ceramic, mosaics and everything in between, we offer tiles to suit even the most discerning client. At Efficient Floor Solutions, we look after your floors. Our philosophy is to treat your home or office as though it were our own - our team of carefully chosen and vetted staff carry out their work whilst respecting your building and belongings. The work is often noisy and dirty, and as you get on with other aspects of your renovation or life, we diligently work to ensure all is as you left it - except the floor - perhaps the main reason home builders, renovators and office refurbs use us in the first place! Welcome to Urban Edge Ceramics Our showroom is in Richmond, Melbourne and we are open to the public. At the Urban Edge Ceramics showroom you will find a whole world of choice complemented by practical advice, inspiring displays and information on fitting and aftercare. The innovative product ranges featured on this site form the heart of their design but you will also discover the options are endless with a little imagination. Provided with or without a brief, the team at UEC can help create a story that relates to each individual property and interpret the client’s needs and perhaps desires. Builders and developers can benefit from UEC working in conjunction with clients to achieve an efficient time saving experience. Inspirational Leading Stone Designs; at Multiform Stone Industries we offer you a great range of products & services associated with the supply, manufacture and installation of all porcelain, marble, granite, & reconstituted stones. Our teams are made up of enthusiastic, experienced and professional employees waiting to assist you with any enquires. As one of Australia's leading manufacturer/ suppliers of Porcelain, Natural & reconstituted stone our main prerequisite is to offer the highest quality of service & products. Our teams deliver an outstanding service accommodating all projects, ranging from first home buyers to renovators to multi storey developments. Domestic or commercial we offer free quotes and include delivery and installation as part of our service. Our Mission is to continue moving forward and staying ahead in a fast growing industry. Delivering high levels of customer satisfaction, working together to our strengths as well as being completely open to all things new & innovative. All types of domestic or commercial tiling. Floor & wall. 20 years experience. De Fazio Tiles and Stone is an importer and distributor of ceramic tiles and stone products from around the world. Established in 1973 . Tiling and stone projects can be hard to get right, so seeking professional assistance is advised. A contractor that specialises in this field can save you time, money, frustration, and will ensure you’re left with quality finishes, which are essential to maintain the style and integrity of your Long Forest, Victoria home. Tile, stone and benchtop contractors can install and repair tile and stone surfaces in your home, from flooring to splashbacks, as well as benchtop materials, from marble to Caesarstone. Many tile, stone and benchtop contractors in Long Forest, Victoria work in tandem with plumbers in the bathroom. They can assist in a variety of common surfacing jobs, from installing shower pans to small grouting jobs. Furthermore, they can create and install murals, mosaics, and repair or replace any surfaces with chips, cracks or stains. Here are some related professionals and vendors to complement the work of tile, stone & benchtops: Interior Designers & Decorators, Architects, Building Project Managers, Kitchen & Bathroom Designers, Design & Construction Firms. Find Long Forest, Victoria wall and floor tilers on Houzz. Look through Long Forest, Victoria photos to find tile, stone and benchtop projects you like, then contact the contractor who worked on it. Browsing photos will also help you stay on top of the latest trends; subway tiles, for example, are trending in kitchen splashbacks, while stone and concrete benchtops are replacing tile or formica surfaces.